Two new updates, 1.5.0 + 1.6.0, and the Fakebook app now looks better than ever! 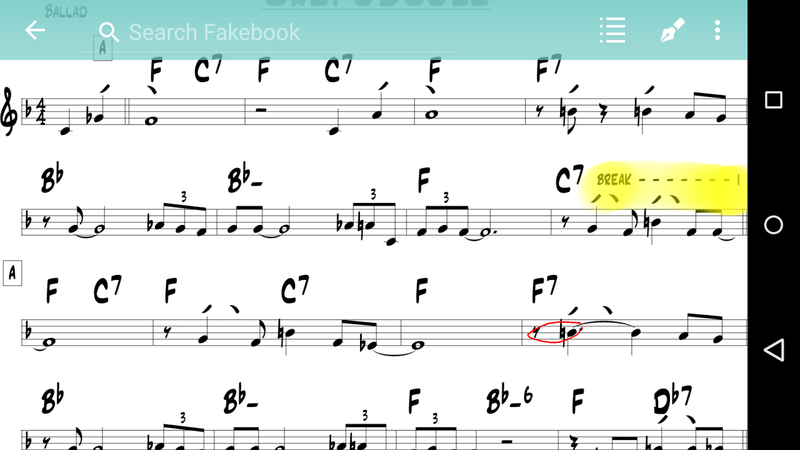 You should probably see it yourself, but new font versions increase the readability of chord charts while the "Android Material design" pushes menus and dialogues to the next level. A new native parser increase the speed of importing PDF files. A lot! The new parser works on all devices running Android 5 (Lollipop) and newer. Key and pedal mapping. Choose scrolling, next/previous song, next/previous page, transpose up/down or start/stop the metronome. Available now, from Google Play and Amazon. when will a zoom feature be added? Its hard to make notes when I can't zoom in. Would be a hugeeeeee feature! !